Obesity is excess body fat accumulation with multiple organ specific pathological consequences. Weight problems are growing in India. More than 10 million Indians are overweight. Half of these people are more than 25 yrs over weight 15%-20% oh these people are more than 50kgs overweight. Each year this number is growing. Obesity is rapidly increasing problems all over the world, is number 2 preventable causes of death after smoking. This growing rate represents a pandemic that needs urgent attention if its potential morbidity, mortality and endemic tolls are to be avoided. Obesity is characterized by Body Mass Index (BMI) which is calculate by Weight (in Kgs) divided by Height (in meter) squared. 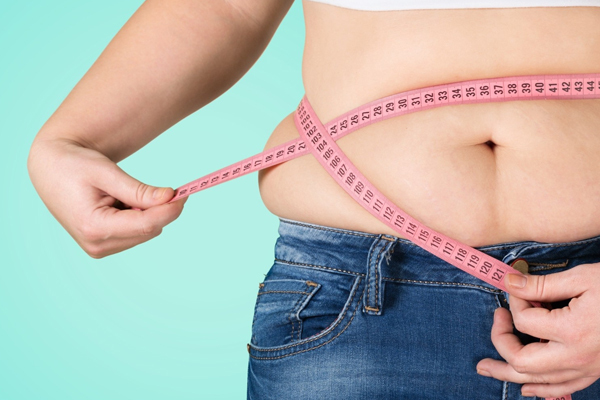 A BMI more than 30 indicates obesity and it reflected by increased Waist circumference. Waist circumference is a better assessor of metabolic risk than BMI because it’s more directly proportional to metabolic total body fat and the amount of metabolically active visceral fat Morbid obesity: When obesity is so severe that it threatens ones health and affects life span of individual. BMI > 35 with medical problems BMI > 40 without medical problems Indian & Asian population develop more problems at lesser BMI Waist circumference of >102 cm in men & 88 cm in women require urgent attention Waist/hip ratio of 0.95 in men & 0.8 in women needs consideration Other important criteria Waist / Hip ratio The occurrence of heart problems, hypertensions are directly correlated with waist circumference. Waist circumference more than 94cm in men and 80cm women and waist to hip ration more than 0.95 in men and 0.8 in women are associated with increased risk for heart attacks. Waist circumference of 102cm in men and 88 cm in women indicates very high risk for cardiac problems and diabetes and needs definite treatment. Asian population with typical normal BMI may conceal underlying excess adiposity characterized by increased percentage of fat mass and reduced muscle mass.